Any copying, republication or redistribution of such content, including by caching, framing or similar means, is expressly prohibited without the prior written consent of the copyright owner. Your purchase or use of products represented on our web site implies that you have read and accepted these terms and conditions. * Modifications You are authorized to make any necessary modification(s) of our products to meet your demands. * Unauthorized Use You may not place any of our products, modified or unmodified, on a diskette, CD, website or any other medium and offer them for redistribution or resale of any kind without prior written consent from the copyright owner. * Assignability You may not sub-license, assign, or transfer this license to anyone else without prior written consent from the copyright owner. * Ownership You may not claim intellectual or exclusive ownership to any of products represented on our web site, modified or unmodified. * Liability Products are provided "as is" without warranty of any kind, either expressed or implied. In no event shall Flashtemplatestore be liable for any damages including, but not limited to, direct, indirect, special, incidental or consequential damages or other losses arising out of the use of or inability to use of the products represented on Flashtemplatestore. * Refunds To preserve the rarity of the represented products, we do not offer credits, exchanges, or refunds. All sales are final. No exceptions. We reserve the right to request proof of identity from any PayPal member. Furthermore, all New Unverified PayPal members will be required to provide proof of identity. Proof of identity may be provided in the form of scanned copies of a driver's licence and one other supporting document, such as a utility bill or telephone bill. Please note: If you are unable to provide this documentation, please do not process your order via PayPal. Your purchase of the product(s) from our web site via PayPal implies that you have read and accepted these terms and conditions. Use of Flashtemplatestore - Flashtemplatestore provides an online marketplace displaying digital products available for purchase, product descriptions, product images, product samples and other digital content (the "Marketplace"). With the exception of any portion of the Marketplace, you may download, view, copy and print any other aspect of this site, (I) solely for personal, informational, and non-commercial purposes; and (II) provided that neither the materials, nor any proprietary notices therein, are modified or altered. You agree not to upload on or transmit to or via Flashtemplatestore any content which: (I) infringes or otherwise violates any copyright, patent, trademark, trade secret or other proprietary right; (II) is defamatory, libelous, expresses hate, or is unlawfully threatening; (III) is pornographic, obscene or exploitative of a minor; (IV) contains or embodies a virus, worm, Trojan Horse or other contaminating or destructive feature; or (V) otherwise violates any applicable treaty, law or regulation. You agree you will not interfere, in any way, with others use of or access to Flashtemplatestore and will not attempt to gain unauthorized access to the account or computer system of any other Flashtemplatestore site user. You further agree not to take any other action in connection with your use of Flashtemplatestore which violates any treaty, law or regulation and to fully comply with all applicable treaties, laws and regulations in your use of Flashtemplatestore. Flashtemplatestore assumes no liability, and shall not be held responsible for, any action you take in connection with your use of Flashtemplatestore. Except where otherwise expressly provided by Flashtemplatestore, all comments, feedback, or information submitted to Flashtemplatestore through or in association with Flashtemplatestore (collectively, "User Content") will be considered non-confidential and Flashtemplatestore's property. By submitting such User Content to Flashtemplatestore, you agree that you assign to Flashtemplatestore, without charge, all worldwide rights, title and interest, including copyrights and other intellectual property rights, in and to the User Content. Flashtemplatestore will be free to use such User Content in any manner or media whatsoever, on an unrestricted basis and without any compensation or royalties to you. You also represent and warrant that you own or otherwise control all of the rights to the User Content that you post; that the User Content is accurate; and that use of the User Content you supply does not violate this policy and will not cause injury to any person or entity. 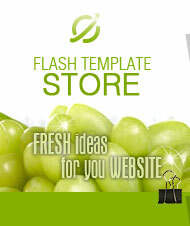 Flashtemplatestore has the right but not the obligation to monitor and edit or remove User Content. Flashtemplatestore takes no responsibility and assumes no liability for any User Content posted by you or any third party. Flashtemplatestore Marketplace - The Flashtemplatestore Marketplace provides images, previews, samples and descriptions of digital products owned by third parties sold via Flashtemplatestore. All images, previews, samples and descriptions of digital products listed in the Flashtemplatestore Marketplace have been provided to Flashtemplatestore by the owners of such digital products. 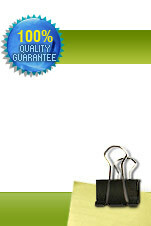 Neither Flashtemplatestore nor the owners warrants that product descriptions or other content of this site are accurate, complete, reliable, current, or error-free. All digital product descriptions, digital product prices, and digital product availability are subject to change at any time, without notice. Furthermore, Flashtemplatestore is not responsible for examining or evaluating, and Flashtemplatestore does not warrant the offerings of, any of the digital product owners. Flashtemplatestore does not assume any responsibility or liability for the actions or digital products of the digital product owners or any other third parties.